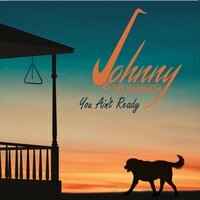 High powered, New Orleans infused, "Swamp Blues"
Johnny & The Mongrels is a high powered, New Orleans infused, "Swamp Blues" collaboration from Fort Collins, Colorado. The project was developed in April of 2015, via the mutual musical admiration between singer songwriter Johnny Ryan, incomparable bassist/singer songwriter Jeff Bostic & Louisiana raised, accomplished guitarist Jeff Mere. All Three artists have always been heavily influenced by the blues and funk genres and had all admired one another from a far for years. It took an impromptu Thursday night open blues jam they were all serendipitously attending, to begin the journey they now find themselves on together as The Mongrels. Remarkably, Within 6 months of development, the band was invited to become part of the new groundbreaking SpokesBuzz Springboard Program, directed by Dani Grant (Owner of the world famous Mishawaka Amphitheater). Since accepting that invitation, the band literally "Spring-boarded" into playing highly attended live shows and successfully recorded their debut album entitled "You Ain't Ready", that dropped in early 2016.